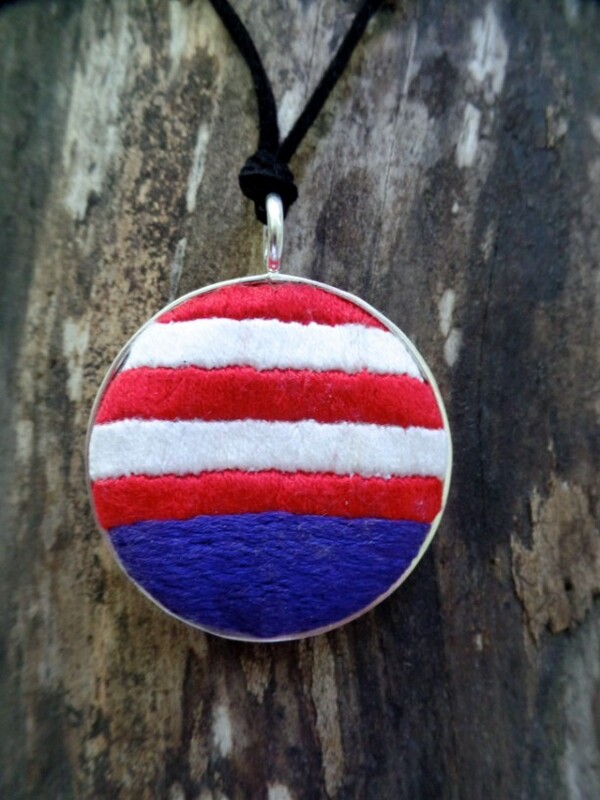 Celebrate the Fourth of July! 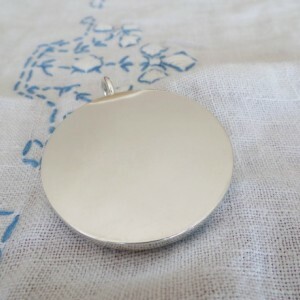 Or jazz up those white summer jeans! 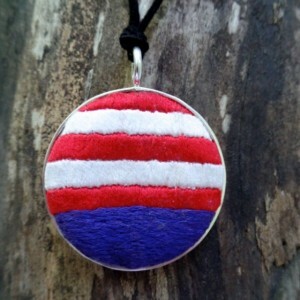 This American Flag inspired hand embroidered necklace is as bright and breezy as your favorite summer day. 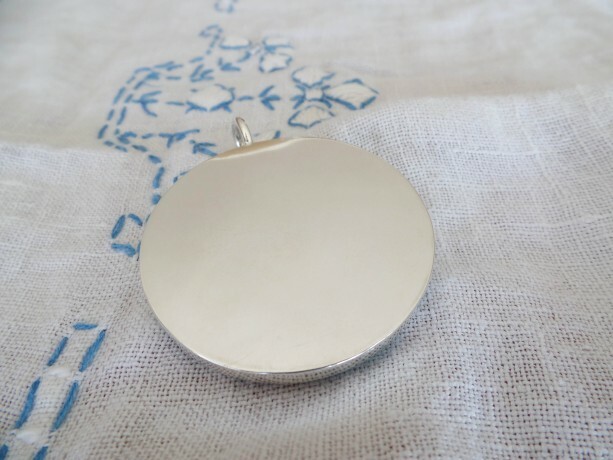 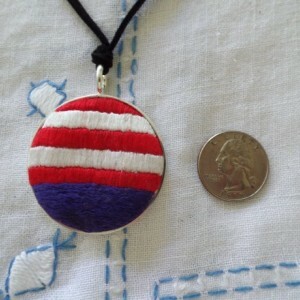 The pendant is set in a sterling silver plate 43mm bezel or about 1 3/4" and hangs from a 36" adjustable black suede cord. 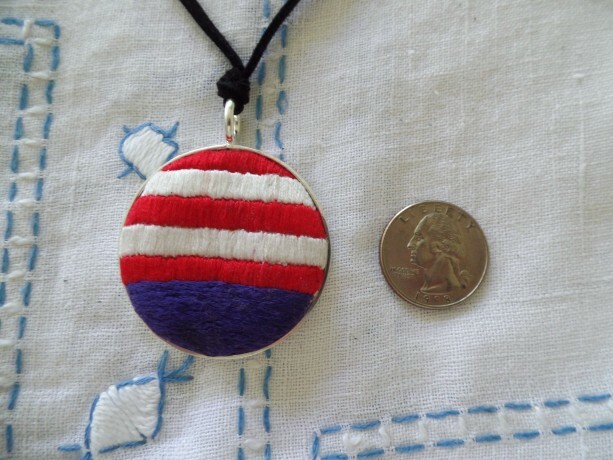 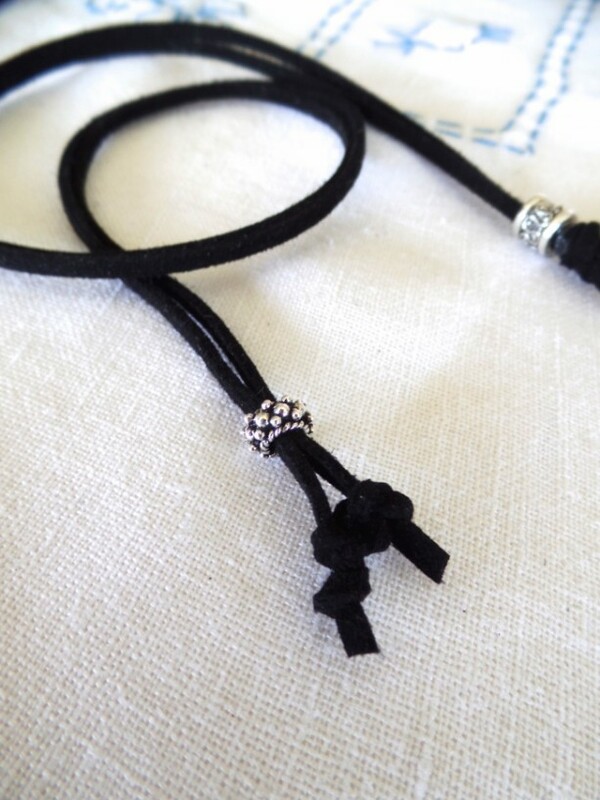 This is a one of a kind hand made piece of art for you to wear.